Are you looking for a NAATI accredited single status certificate translation in Brisbane? When you find the love of your life in Australia and plan to move on to another level of your relationship, chances are, you need to actually submit a few things to prove that you are single and has been for a long time. 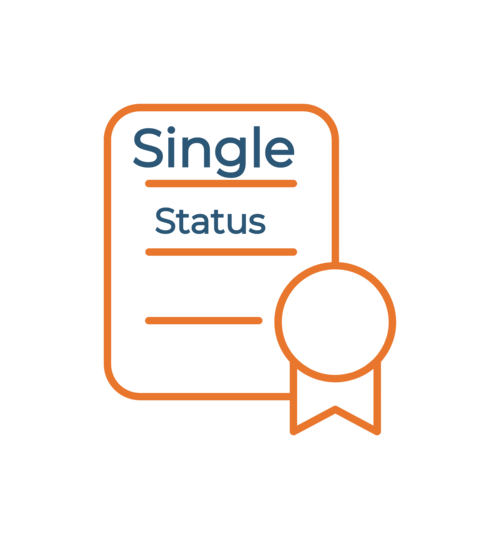 A single status certificate is a document given to you as proof of being single or free from any marital relationships in your country. 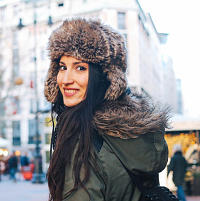 This is a very important document if you plan to get married in a different country. When you come from a country that has its documents already in English, then that is well and good. But, if your single status certificate is in a non-English form. Then, you need to find a reliable single status certificate translation services provider. In Australia, some of your documents need to be translated into English for Australian government agencies to accept. We at Brisbane Translation provides single status certificate translation services that are quick and affordable for you. If you are interested, then please read ahead. We are a single status certificate translation service provider aimed at giving you the best translation service at a more affordable price. What is a NAATI certified single status certificate translation? Well, it is a translated document that meets the expectation and quality demanded by the National Accreditation Authority for Translators and Interpreters Ltd. The document needs to pass through a process for which the translator needs to be accredited by the NAATI, ensuring that your translation is spot on for the Australian government and of course for you. Most government agencies actually require NAATI certified document translations. Even more so with a document as important as this. Having your single status certificate translation NAATI certified will ensure that your documents will be accepted by any government agency that requires it. Brisbane Translation is home to hundreds of experienced translators that are NAATI accredited. They specialise in a lot of other documents including single status certificates. Our company is directed towards giving you the best single status translation service here in Australia. Aside from us being NAATI certified, Brisbane Translation has other perks and benefits for you to enjoy. One of them is the quote which gives you an estimate or the cost of the services absolutely free. Just send us a photo or a scan of your document and we will send you your free quote in under 15 minutes. If you can’t afford the time to go to an office, queue up, and go through the arduous process of paying and going back. Then we have an offer for you. Brisbane Translation offers translation services online! You heard it right. With this, you can order a service in the comfort of your home. Being an online service provider, we also are here to accept your single status certificate translation order 24/7. No more coming in at scheduled dates. You can order online anytime, anywhere. We offer you all these services at $69 a document, this is the lowest rate you can find in Australia for NAATI certified translations. If you are looking for a translation service provider who can translate your document in under 24 hours, we can do that. If you are not in any rush, then you will still receive your document in under 2 to 3 days, that is fast enough with our standard translation service. If you think you can’t afford it, or if you are just looking for a certain second opinion, we can help you with that. Just send us a photo or a scan of your document and we will send you the cost of ordering the service with no strings attached. Ordering is simple, you can order a single status certificate translation service in just 2 steps! You heard it right. 2 steps! Request for a free quote via the live chat feature by sending us your non-English document’s scan or photo. After 15 minutes we will provide you with an exact quote. Once you have decided to order the service, then you can complete the transaction by sending us the payment via PayPal, credit card, or bank transfer. Once we receive the payment, we will go ahead and start working on your document. After we are all done, we will send you a draft and then a soft copy. We can also send you a hard copy via Australian post upon your request. We have an amazing and talented team of translators who enjoy their jobs more than you know. They enjoy challenging themselves and of course, working with challenging tasks. This resulted in them drastically improving in their delivery time. Because of this, we have the fastest translation time in all of Australia. You can choose between our standard and express translation service. Standard – You will receive your complete translation in 2 to 3 working days. Express – If you are in a hurry, you will receive your translation in 24 hours via express translation. Upon your request, we can send you the NAATI translated document via the Australian post. Let us know about this via the live chat below. Yes, you absolutely can, just simply follow the 2 step ordering system above and we will be happy to help you.